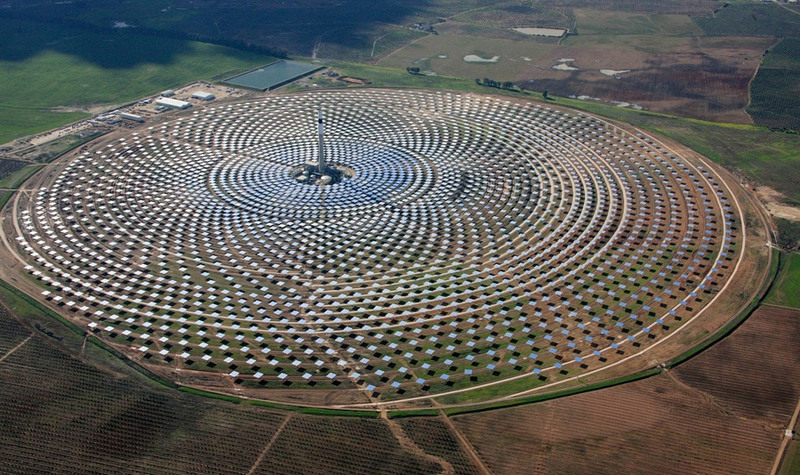 At the new Gemasolar solar plant in Seville, Spain, 2,650 large mirrors concentrate sunlight to generate 19.9 megawatts of electricity. It was completed and started up in May. 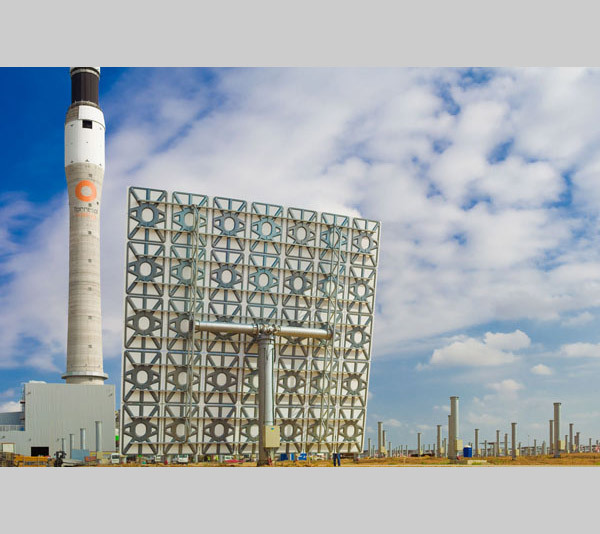 Mirrors focus sunlight on a central tower, heating it up to as much as 900 °C. Molten salts within the tower reach 500 °C. They carry heat to electricity generation buildings at the base of the tower. Inside these structures (shown here under construction last year), molten salt heats up water to produce steam, the steam drives a turbine, and the turbine spins a generator to produce electricity. Molten salt is stored in two large storage tanks (at the right) and retains enough heat for generating electricity for 15 hours. This allows plant operators to generate electricity when it is most needed, even at night. The system also smooths out fluctuations in power output due to weather. The tracking system on the back of each of the large mirrors is used to keep sunlight focused on the tower throughout the day. It can pivot on two axes. 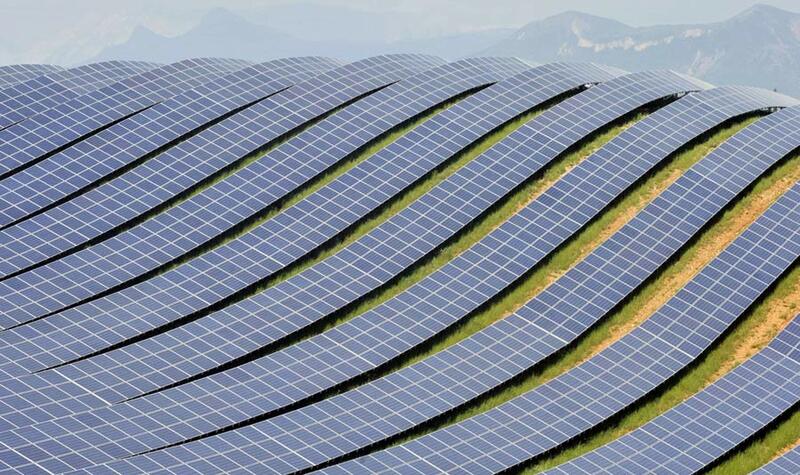 Also in May, two large solar photovoltaics projects were completed in southern France. 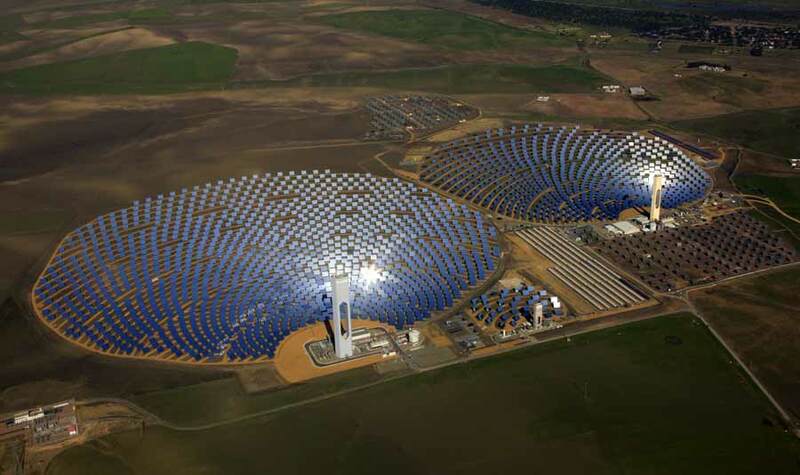 Together they cover 89 acres and generate up to 18.2 megawatts of electricity using 79,000 solar panels. The area where the plant is located is very sunny, making it an attractive location for solar. But to appease local residents, it had to be integrated with the landscape to make it less of an eyesore. As a result, not every panel is oriented at the precise optimum angle for absorbing sunlight, but it looks good. 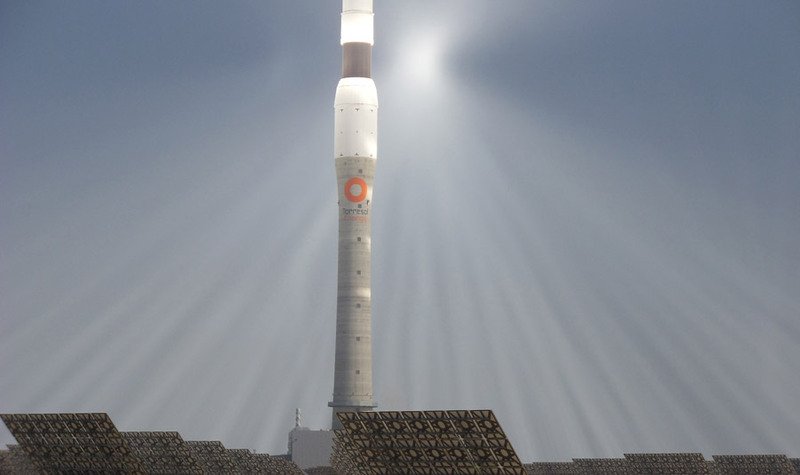 Abengoa has built a series of ever larger solar thermal power plants near Seville, Spain. 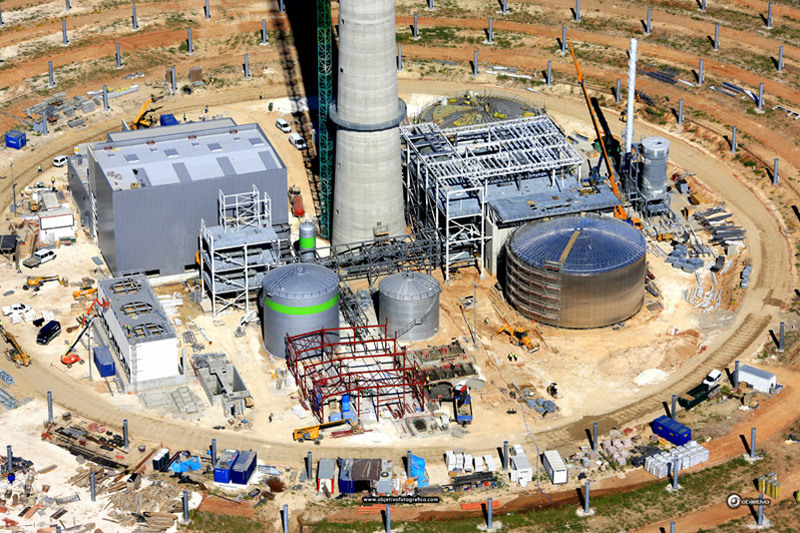 The largest, on the left, can generate 20 megawatts, and started operation in April 2009. Concentrated sunlight heats up a working fluid, which in turn creates steam for generating electricity.